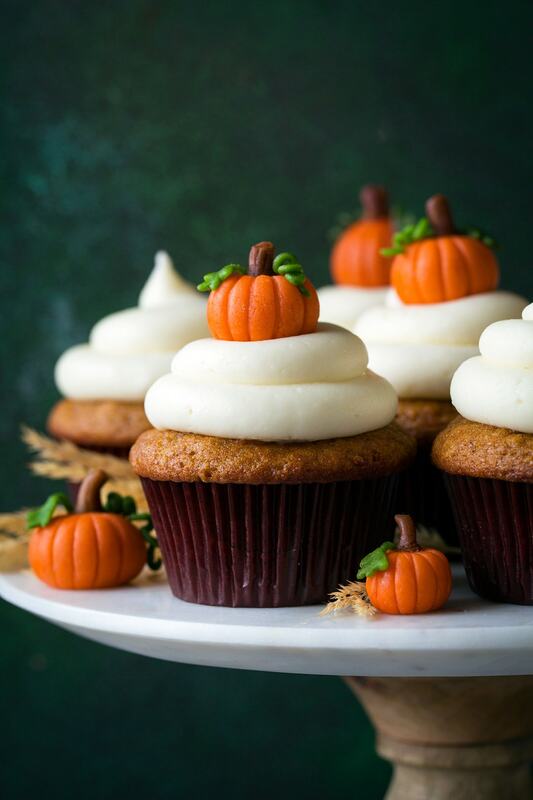 These Pumpkin Cupcakes with Cream Cheese Frosting are hands down one of the best fall treats! They are deliciously pumpkiny, perfectly soft and moist, and they have a perfect autumn spice blend. These are perfect for a weekend dessert or for just about any celebration, at any time of the year. Why wait for fall for every year these decadent cupcakes""
I mean I'd be totally excited to have these on my birthday in the middle of the summer! And you may even find people reaching for these instead of that pumpkin pie at Thanksgiving this year.